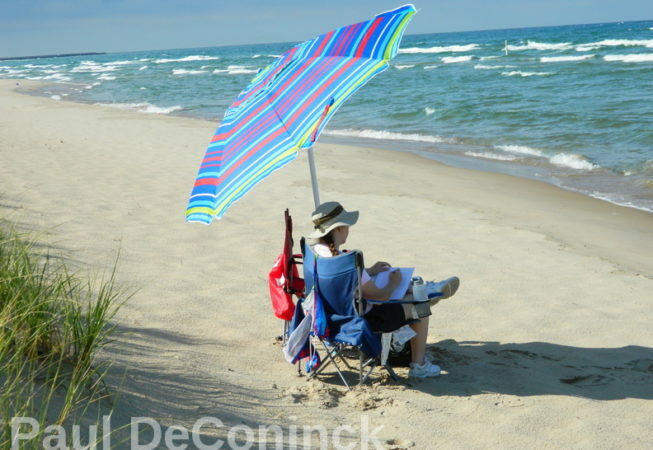 Often my wife Christina and I sit out on Lake Michigan and just listen to the waves, read and relax. On this summer afternoon I took a photo which captures how beneficial being near the water is to us. If you would like a un-watermarked print of this photo please contact me.